While we like to tap into our artistic sides year-round in Virginia Beach, The Boardwalk Art Show weekend is cause for celebration. The 63rd installment of the show will feature blocks of fine art from 275 artists from across the US, great food and live entertainment along the Virginia Beach Boardwalk. 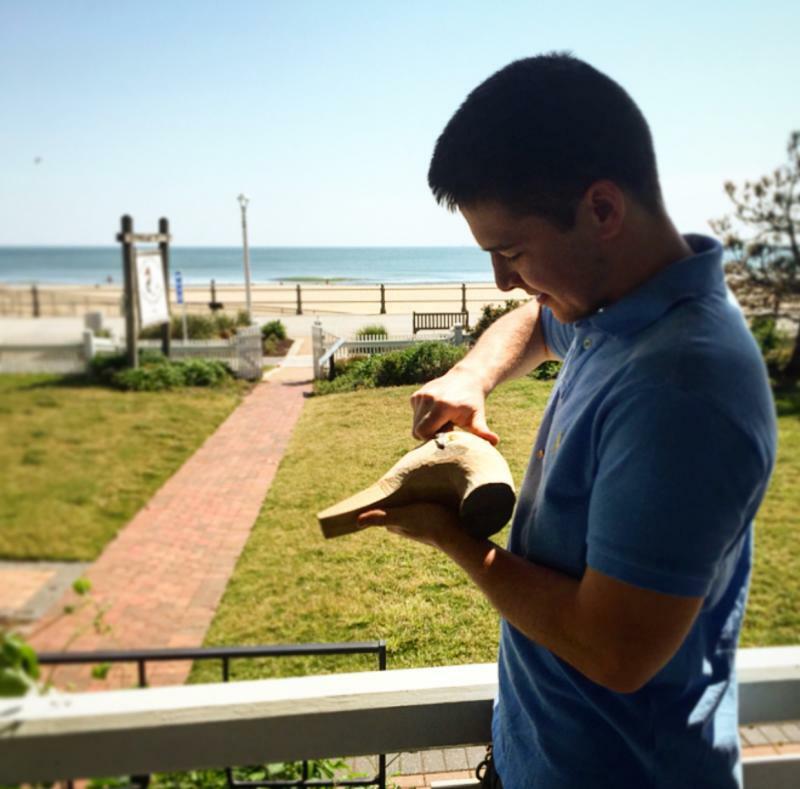 The prestigious event is sponsored by the Virginia Museum of Contemporary Art (MOCA) with vetted artwork displayed along the backdrop of the Atlantic Ocean. To get the VIP experience, opt for tickets to the Boardwalk Beach Club, an 80-foot tented space along the boardwalk offering valet parking, an open bar, lunch service and beautiful ocean views. Starting from humble beginnings in 1952, the Boardwalk Art Show has since become a nationally recognized event in the art community, receiving over 700 applications each year from artists who represent 13 different artistic mediums. The show attracts over 250,000 visitors each year, as art fills the boardwalk from 18th street to 35th street from June 14 - 17. 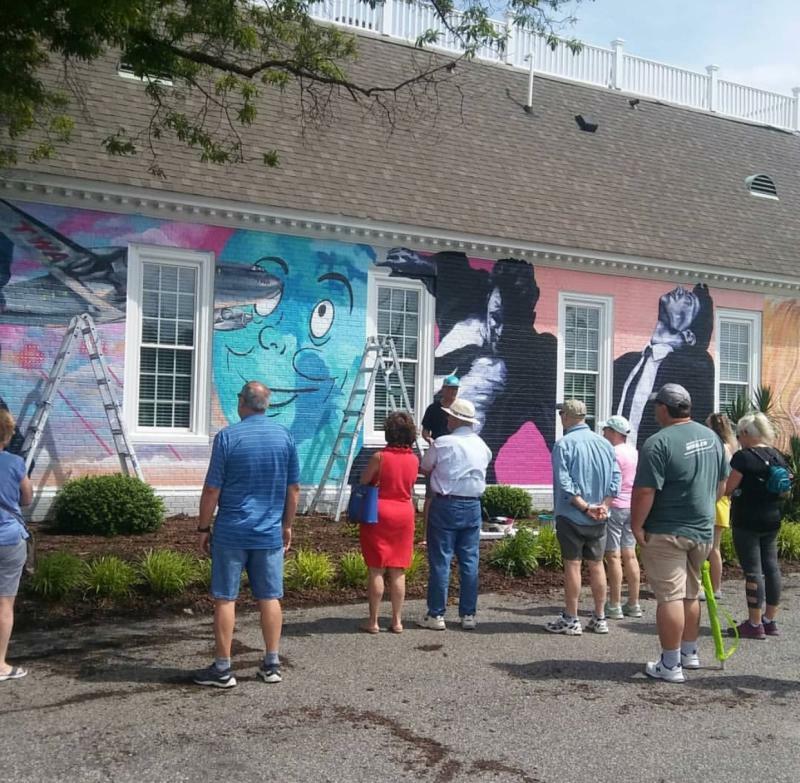 Peruse The ViBe Creative District, which serves as a vibrant center for various creative industries in Virginia Beach and encourages local creatives to inspire each other, their crafts and their community. 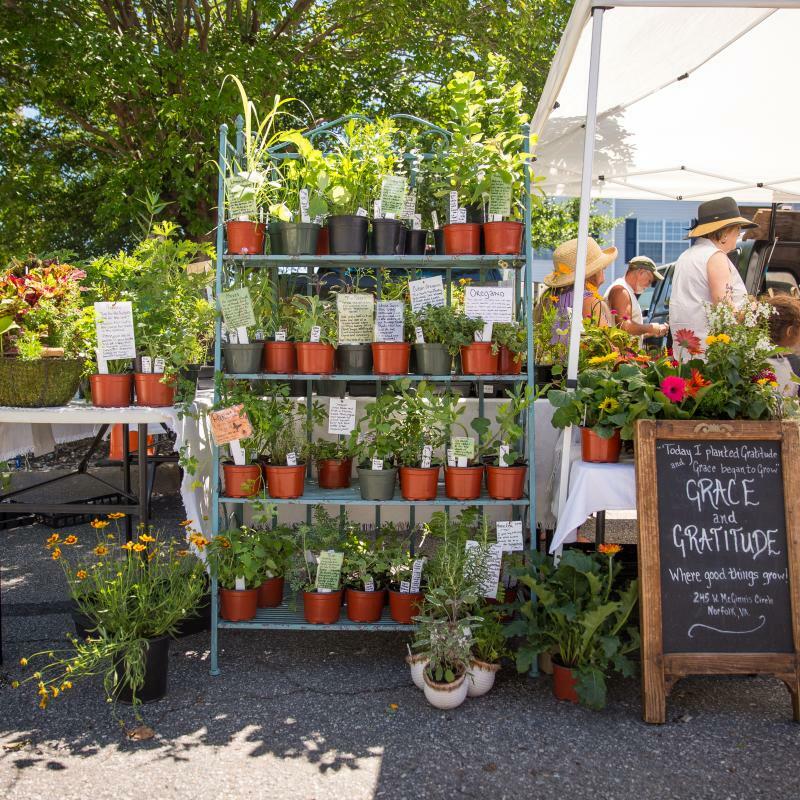 Locals and visitors can soak in the ViBes at one of the district&apos;s monthly First Fridays to watch homegrown ideas come to life or experience the weekly Old Beach Farmers Market for unmatched local flavor. Take the ViBe District Mural Walking Tour. The ViBe Creative District is a work of art in and of itself, with a collection of murals, most of which were done by local artists, that fill the ViBe with wonder and color and you’ll see exactly what we mean. To see all of these murals by foot makes for an easy, one-mile walking tour, that is a must for all who are visiting. 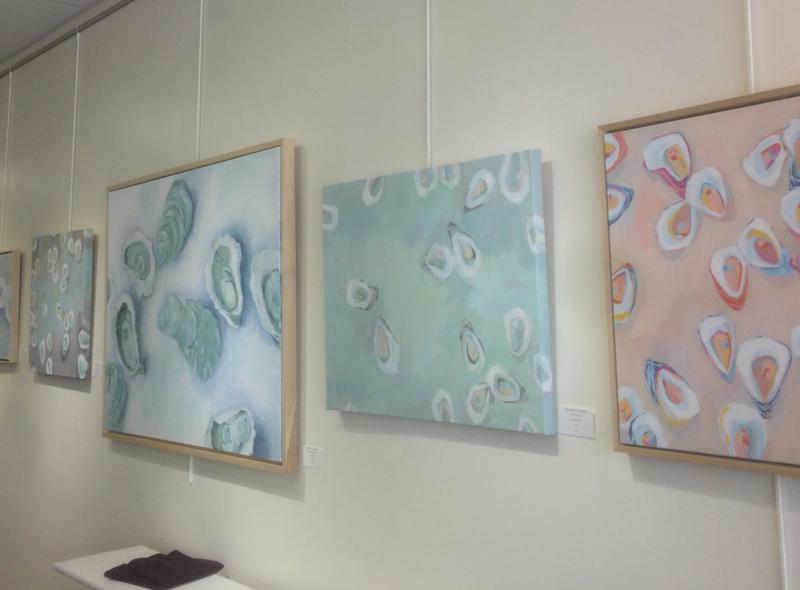 Pick out a painting at Beach Gallery, where you’ll find a large selection of works from national and local artists. 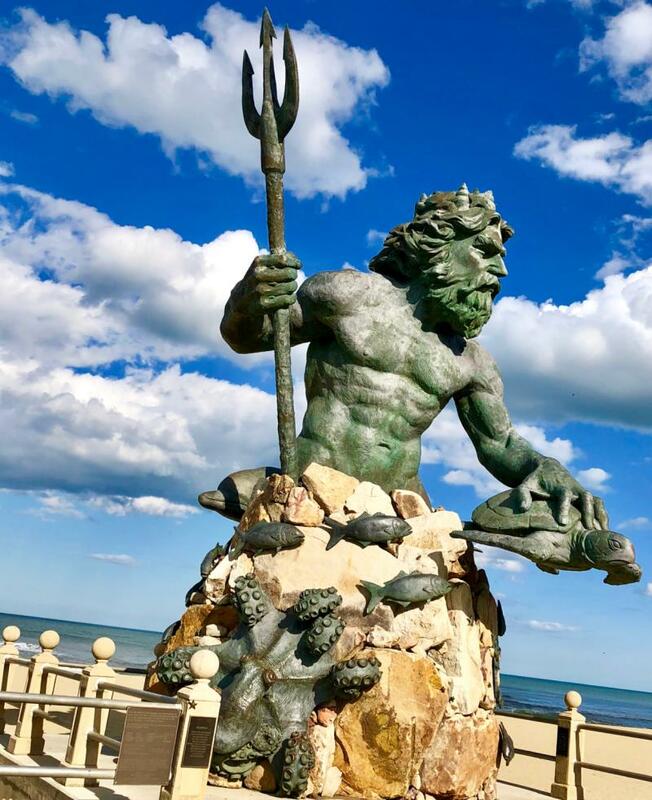 Discover more than 30 public art displays in Virginia Beach, including our famous King Neptune statue. 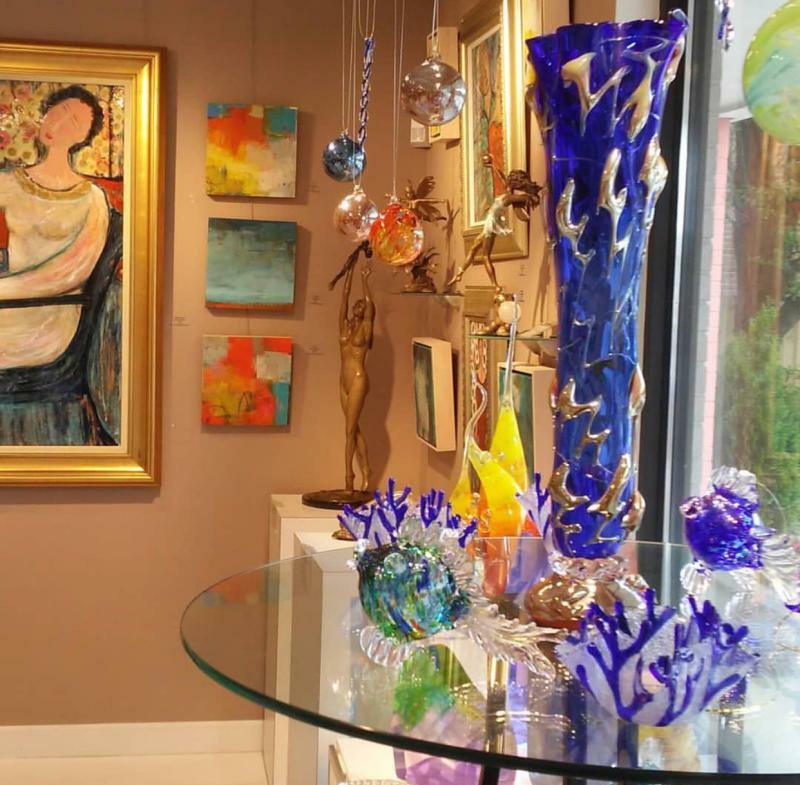 Check out Stravitz Sculpture and Fine Art Gallery for a huge range of works from a popular local bronze sculpture artist, Richard Stravitz, as well as other featured local artists. Pick out something you like to take home with you. 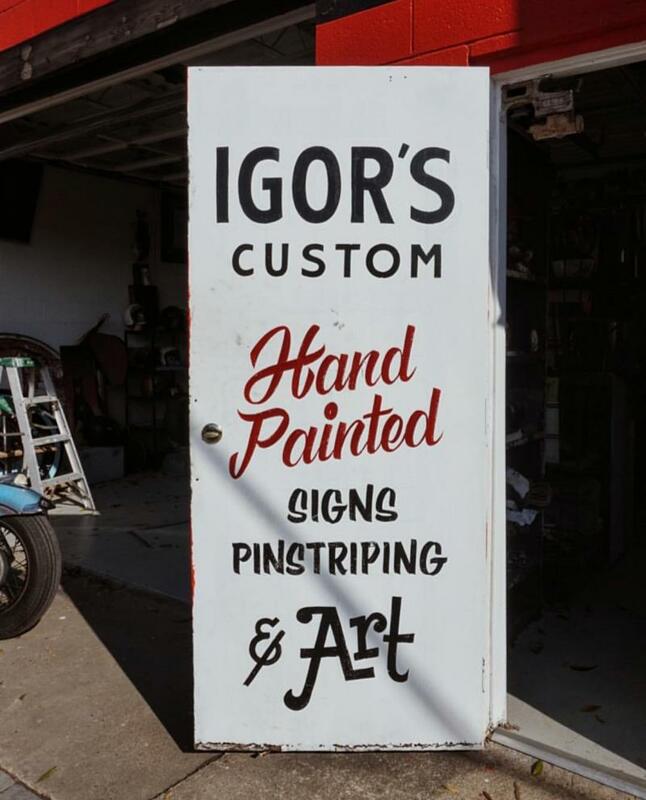 Browse the works of Igor’s Custom, in the ViBe District, for an unbeatable collection of hand-painted signs, pinstriping, canvas, banners and murals from a local artist. Visit the historic Atlantic Wildfowl Heritage Museum, which exhibits artifacts from our wildfowling history and contemporary wildfowl artwork, such as decoys and decorative carvings. The museum also features volunteer carvers each day, so you can see how these works of art are created.